This is one of our most versatile pieces! This weightless silk tunic moves beautifully and has a pocket hidden in the diagonal seam at the dropped waist. 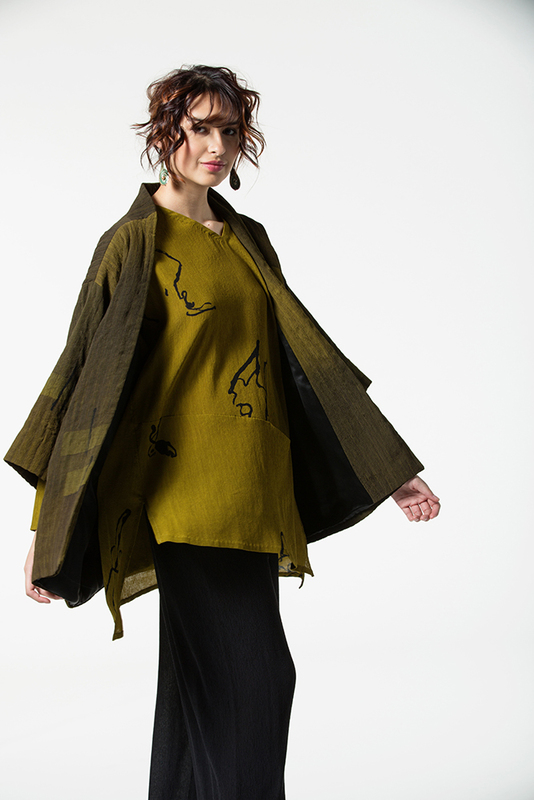 Chartreuse String Theory– hand painted Shibori crinkle silk, shown with Chartruese Overdye and White Chopstix Kimono Jackets. Also shown: Black & White Tape Screen in dress length. Please see OBTAIN for ordering information and to inquire about lengths, sizes, colors and patterns available, either currently or by special order.